The first installment of our Lecture Series was a huge success, thanks to all who could attend!! We had 59 people come support the Memorial and hear some interesting details involving the effects of weather on the D-Day invasion. A big thank you to John Ross, the author, as well for making the trip to see us and do a fantastic lecture! Also, the Foundation has only FIVE more GI Jive tickets left so if you are thinking about attending than be sure to purchase your tickets THIS WEEK! Again, tickets are $75 per individual and $150 per couple. Call us at (540) 586-3329 to purchase your tickets today! You won’t want to miss out on all the fun we have planned for your special Valentine’s Day treat. Today, I would like to share a beautifully written article about the Memorial published this past weekend. 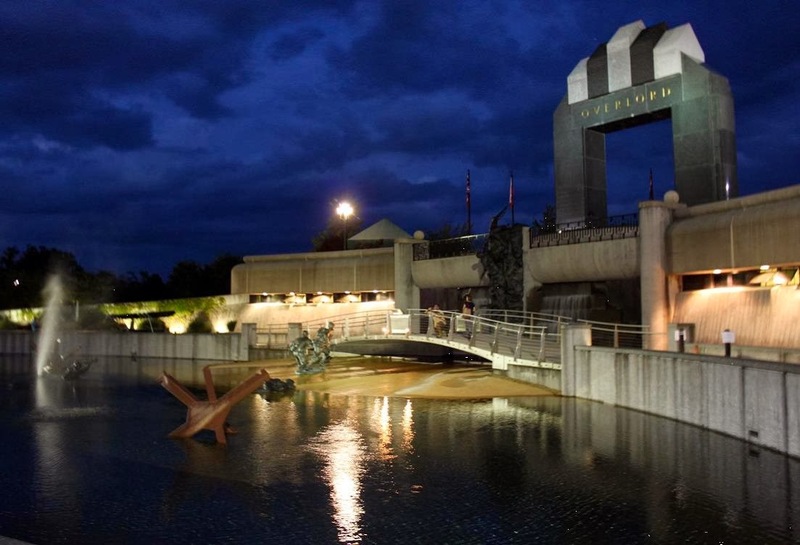 Alex Rohr from The News & Advance wrote an inspiring article about how far the National D-Day Memorial Foundation has come in the past several years. The journey may certainly have been rocky and unknown, but the staff, volunteers, board members, and supporters have kept the Memorial alive. Without their hard work, determination, and giving hearts, the outcome of our story would be very different today. It is a privilege to work in an environment that recognizes and honors the sacrifices made by our veterans, then and now. It is so important to keep the memory alive and continue educating our youth about our extraordinary past. We have come a long way but there is still so much more we wish to accomplish in the years to come. The National D-Day Memorial Foundation reported a net deficit in returns from 2009 through 2012. The 2013 return, for the reporting period that ended June 30, 2014, showed a turnaround. I think the big turnaround at D-Day is because we fine-tuned our focus for the future. We elevated some employees to better positions within the organization. And we coalesced around a major new effort to expand the D-Day Memorial to what it should be in the nation. BEDFORD — An increase of more than $675,000 in donations over the last fiscal year boosted the National D-Day Memorial Foundation to its first net gain since 2008. Founded in 1989 to memorialize the Allied assault of Normandy in World War II, the foundation ended its fiscal year this past summer with a net gain of $193,698, according to the nonprofit’s latest federal income tax return. The foundation had ended the 2012 fiscal year with a deficit of $477,637. The nonprofit has worked to chip away at its operating deficit over the past several years. Almost doubling the “gifts, grants, and similar amounts” line year-over-year in fiscal 2013 pulled the foundation into the black. Part of the difference is a strategic plan to broaden marketing for the site, which opened in 2001. The foundation’s board chair, Barry N. Moore, said making April Cheek-Messier sole president more than a year ago and the streamlining that followed played a significant role. “I think the big turnaround at D-Day is because we fine-tuned our focus for the future. We elevated some employees to better positions within the organization. And we coalesced around a major new effort to expand the D-Day Memorial to what it should be in the nation,” Moore said. The revenue picture is a significant turnaround from 2009, when struggling finances prompted the then-president of the foundation, William McIntosh, to say that the site was at risk of closure because revenue was not keeping pace with operating costs. At that time the memorial began to seek inclusion in the national park system as a means of long-term viability, but after a lengthy study the National Park Service declined last year to take over the site. By then, though, the foundation already had narrowed its deficit significantly. In April, Moore told The News & Advance the foundation brought in more money than it spent that year. The foundation still had a net negative at that time, when calculating depreciated value, or money to be reinvested in infrastructure. Now, the organization officially is netting positive. The foundation brought in $1.2 million in contributions from July 2013 through June 2014, compared to $686,506 the previous fiscal year, a 46 percent increase. 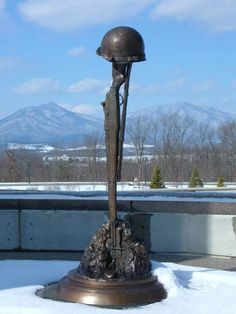 While the site is located in Bedford in honor of the community’s loss of men of D-Day, its mission is mark the valor and sacrifice of all who participated in the invasion. The foundation aims to construct an on-site museum and education center, hopefully by the invasion’s 75th anniversary on June 6, 2019. The center, which could include a research library, would make the memorial even more of a nationwide draw. It was named the top travel attraction in Virginia and ranked 17 nationwide by the website TripAdvisor this year. Cheek-Messier said getting in the black shows a stronger foundation, which will enhance its image to donors and make it eligible for more grants. She credits new statues and diverse educational programming in encouraging donor and community involvement. “I think that more than anything, people were seeing things happening that we haven’t been able to do in a while,” she said. In May, the foundation installed a bust of Bob Slaughter, an Omaha Beach infantryman from Roanoke and strong supporter of the monument. 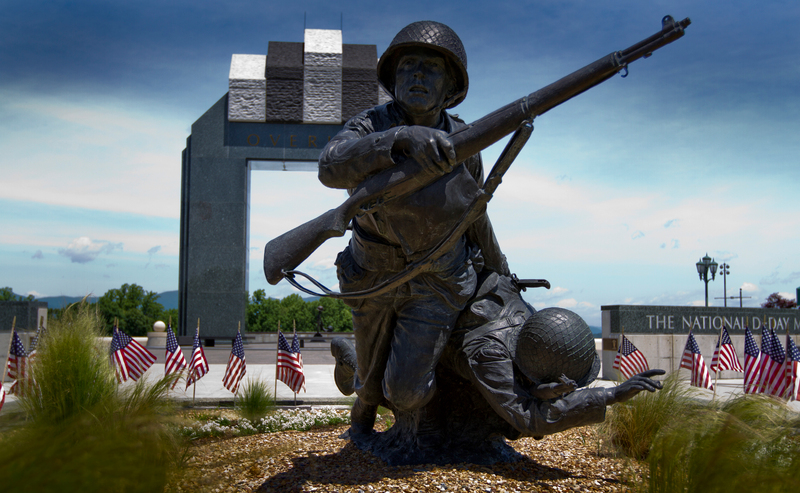 The statue “Homage,” representing the D-Day soldiers and the families they left behind, was unveiled at the 70th anniversary commemoration on June 6, 2014. “It’s about [D-Day veterans], it’s about honoring them while they’re still with us, but certainly we have to look to the future, how we inspire the next generation,” Cheek-Messier said. Visitation jumped 21 percent in the past fiscal year — to almost 60,000 — boosted in part by the weekend-long 70th-anniversary observance, which drew more than 10,000 visitors. The commemoration, likely one of the last large gatherings of D-Day veterans, raised the monument’s recognition nationwide. Cheek-Messier said she did two to three interviews a week with national and international media in the months leading up to it. The Tommy Dorsey Orchestra concert the next day was one of the significant “small campaigns” contributing to increased donations. The December luminary fundraiser brought in about $10,000. Short-term campaigns accounted for 46 percent of gifts. Individuals contributed 25 percent, according to the annual report. Cheek-Messier said the 70th-anniversary weekend helped develop relationships that should be long-lasting. “We have new names in our databases that we never had before as a result of the 70th anniversary,” she said. She said the event expanded the base of those who donate not only money but artifacts — and, most importantly, stories. The memorial has a list of the 4,413 killed on D-Day. A foundation goal is to have a story to go with each name. Over the next year, the foundation is working with contractors, architects and other consultants to examine the site’s entire 55 acres. All but nine acres currently are undeveloped. “Our board of directors believes a strong education aspect of the memorial is what it needs to have long-term success and growth,” Moore said. According to a D-Day report, 78 percent of the foundation’s operational expenses in the 2013 fiscal year were for education and memorial support. The rest was split between administration and fundraising. The foundation has moved from East Main Street, where World War II and D-Day artifacts and books were hidden behind desks, to a full building on West Main Street, where the books line shelves and artifacts have an entire room. Volunteers and community support have been a significant part of the memorial’s financial improvement. A regular army of volunteers assist the 16 employees, along with others who helped prepare for the over 10,000 people who visited over the June 6 weekend. The memorial’s 85 most active volunteers donated 9,327 hours in the last fiscal year. I hope you all enjoyed this shining article and it inspires you to do great things. Rohr, Alex. “D-Day Memorial Foundation in the Black after Years of Financial Struggle.” The News & Advance, January 31, 2015. 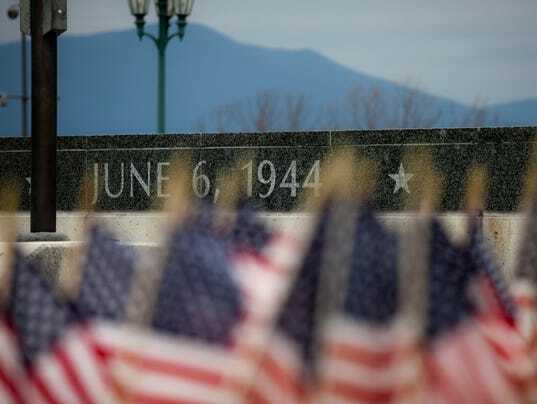 Accessed February 2, 2015. http://www.newsadvance.com/news/local/d-day-memorial-foundation-in-the-black-after-years-of/article_67d84458-11e4-b55d-0b7711ba6df1.html.